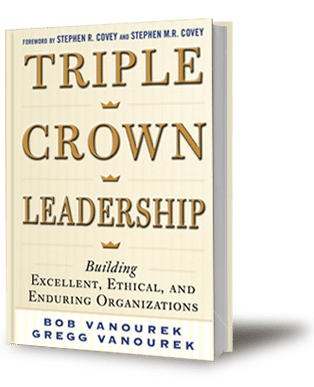 Posts tagged "Triple Crown Leadership"
This week we bring you profound advice from a trusted colleague and friend, Robert Whipple, CEO of Leadergrow Incorporated. His recent post really drove home for us, and we wanted to share it with you. It gives 8 actionable items which will help improve your vision as a leader, and help you improve the vision of other leaders. Improving the Vision of Leaders by Robert Whipple Enjoy!